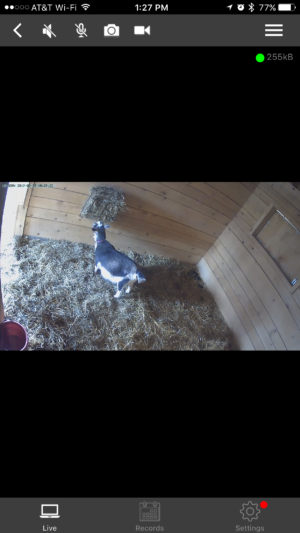 Our kidding season is coming late this year, and we only have one pregnant doe, so I was lucky to have ample time to do something I’ve been wanting to do for quite some time: set up a barn-cam. Why? Well, like many (if not most) other homesteaders and farmers, I work away from home most of the week. While I make sure to check on my animals as much as I can before and after work, it’s still not ideal. 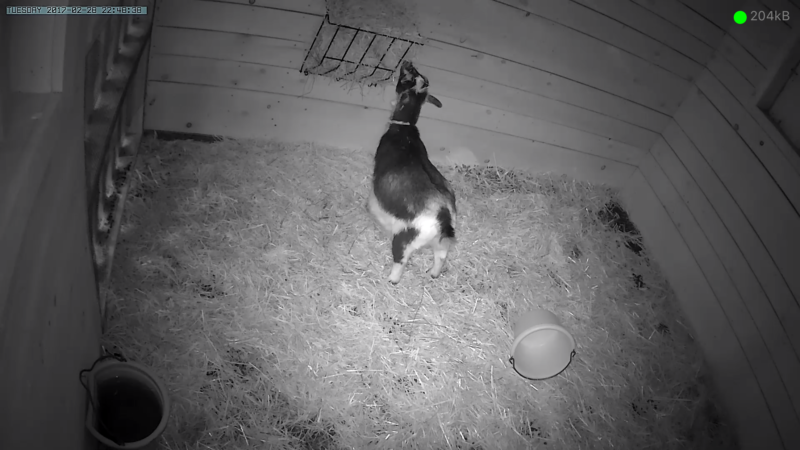 Having an internet-enabled camera system hooked up in our barn allows me to check in on my animals any time, day or night, from anywhere I have my iPhone. The first challenge we faced was extending the signal from our wireless router to reach our barn. 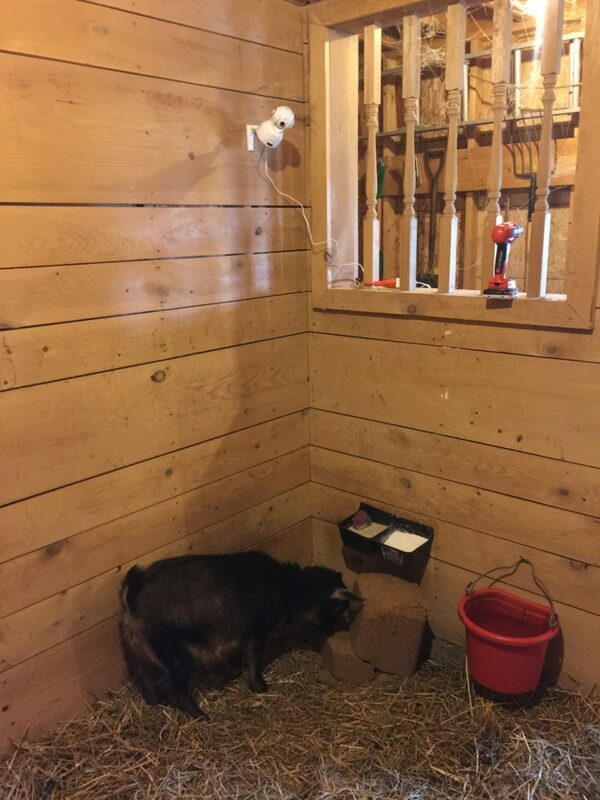 Our cable modem is located on the far northeastern corner of our house and our barn is located about 100 feet to the south, with a good portion of our house and our garage in the middle separating the two. With our existing (crummy) router, the signal barely reached the garage or our upstairs, much less all the way to the barn. Enter the Google Wifi system, a router-replacement that creates a mesh network to extend your wireless signal throughout your house. One unit ($129) is supposed to cover 1500 square feet, and the 3-unit set ($299) is rated for 4500 square feet. You can learn more about the Google Wifi and it’s features here. Though it comes with a pretty hefty price tag, it is $100 cheaper than its closest competitor (eero, $399 on Amazon) and has some really nice features (guest wifi, wifi “pause” on a per-device or per-user basis, priority devices, etc.) that made us decide to give it a try. So far, I’m a very happy customer. The red star at the far left is the first Google Wifi unit, hardwired to our cable modem. This single unit covers our entire house, upstairs and downstairs. I added the next unit at the back of our garage (middle star) and the third one in the workroom in our barn. 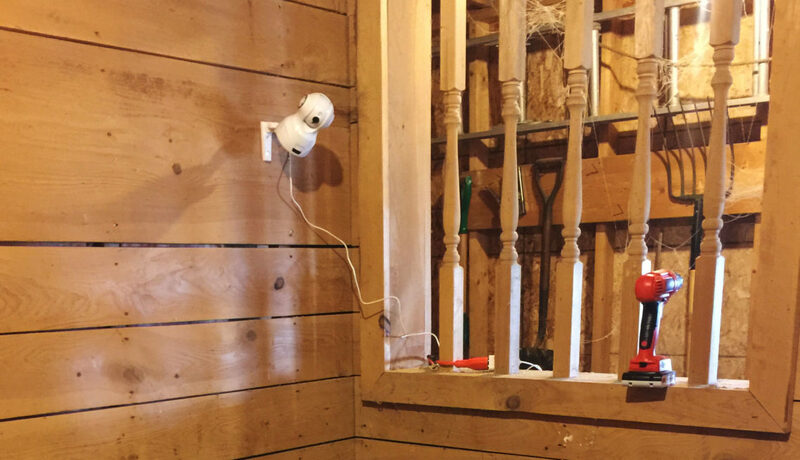 It was as easy as installing an app on my iPhone, scanning the QR codes on each unit, and plugging them into the wall — that’s IT — presto, full wifi signal throughout our house, garage, barn, and much of our back yard! My first choice for a camera was the Nest Dropcam, but after having already spent $300 on Google Wifi, I couldn’t justify another almost-$200 on a single camera. If you have the money to spend, I think Dropcams are awesome, and they really are leading the industry in this area. However, if that’s not in your budget and you’re willing to tinker a little bit, there are cheaper alternatives that will get the job done. Around Christmas time, Amazon’s Lightning Deals had this LeFun 1080p Wireless Security Camera/Baby Monitor for $59 ($20 off the regular price) and I snagged one on a whim. (Note, there is also a 720p version by the same manufacturer that is a “bestseller” on Amazon that is currently $59.99.) If you take a peek, you’ll see both cameras have mixed reviews, but in my experience Amazon is good about returns so I figured if it was a dud, they’d stand behind it. The camera setup was a little klunky but not TOO bad. The camera can be hardwired or connected to your home wifi. I chose the wifi option, which is done using an app on your smartphone. From there all I can say is follow the setup instructions in the app on faith — they’re a bit strange, but work out in the end. You’ll use your smartphone camera to scan a QR code on the bottom of the security camera, then enter your wireless network information, and then your smartphone will play a horrendous series of noises reminiscent of a 1990s-era dial up modem. The security camera’s microphone listens to these beeps-and-boops and somehow interprets that to complete the connection, and — voila! — you can see the camera feed on your phone! Pro-Tip: Make SURE to use the A/C adapter that comes with the camera! The power cord on the camera is USB and it comes with a USB-to-A/C adapter. I misplaced mine and tried to substitute another one that came with my Kindle, and though the camera powered up and the lights came on, my phone couldn’t connect to it. I tried an Apple A/C adapter and had the same issue. I have no CLUE why — but obviously, it’s important. So, save the time that I spent troubleshooting, and make sure you use the right one in the first place. Candy enjoying a late night snack before bedtime, apparently. Even in darkness, you can keep an eye on things! If you turn the phone to landscape mode, the video feed fills the entire screen. The camera has a built-in speaker and microphone, and in the app you can control muting or un-muting these features. I usually keep the camera microphone muted because it freaks the poor goats out if they can hear us, especially at night! There are also options to capture pictures and video clips. Dragging your finger across the video feed itself causes the camera to pan and tilt. A “pinch” gesture zooms the camera in and out. There is some lag time for the camera to react to these gestures, but for the price, I think it still works very well. 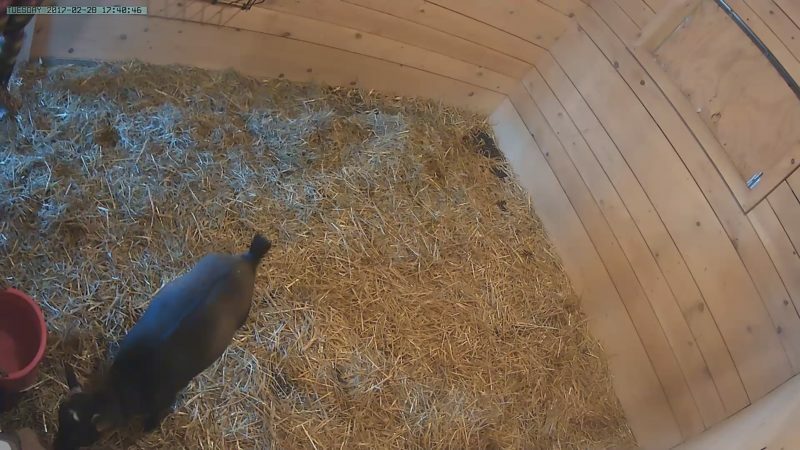 I’m thinking of adding additional cameras in the other stalls in our barn and in our chicken coop. It’s nice to have the peace of mind to check-in when I’m away from home or from the comfort of my bed at 3am. 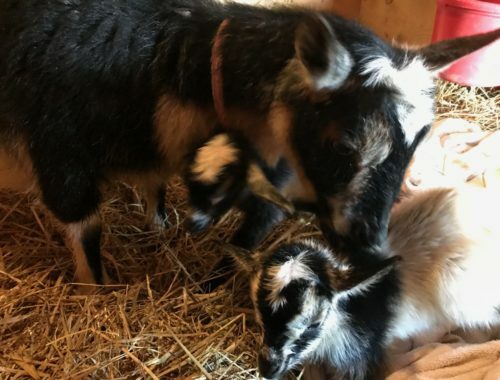 Now we’re on “Goat-Watch”, anxiously awaiting the first goat kids to be born on our farm in the coming months! 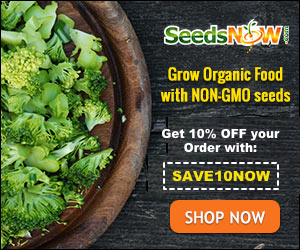 Note: Some of the links in this post contain Amazon affiliate links. Thank you for your support! 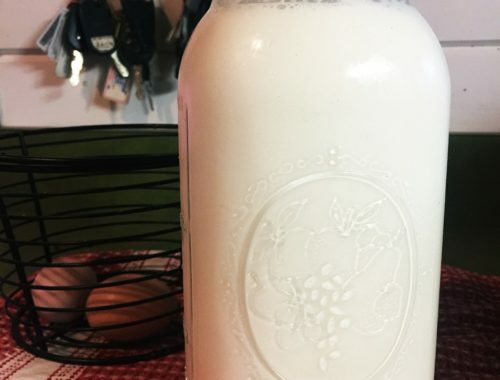 Amanda lives with her family on a little red farmstead in northwestern Pennsylvania. 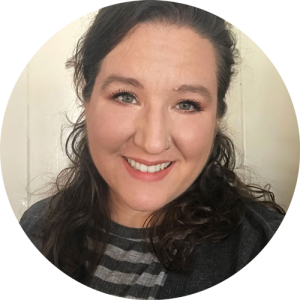 By day she's a web developer specializing in WordPress and in her off time she enjoys working with goats and other livestock on the farm, canning, knitting, and crocheting. 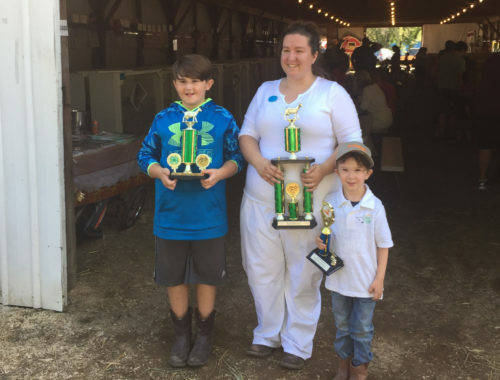 Best Dairy Doe in Show at the 2018 Albion Fair!